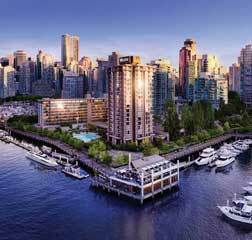 LACF MEMBERS are hereby notified that the 2019 Annual Members Meeting (AMM) will be held in Vancouver, BC, on May 8th, in conjunction with the 2019 CSLA Congress. LACF Members are individuals, firms or organizations that have donated $100 or more to LACF in the calendar year 2018. Firms and organizations have one vote at the Annual Meeting. According to LACF bylaws, you may vote via proxy at the Annual Meeting of LACF Members by assigning your proxy to a Member who is attending the meeting. See the Proxy Form below. Reference documents for the AMM can be found below and on the Documents page.